Product Consists : Basket arrangement of 15 Mix Roses with some green fillers, 16 Pcs of Ferrero Rocher Chocolate Box along with New Year Greeting Card. 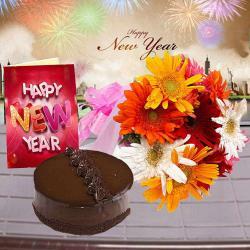 A fun and excitement filled gift that is bound to make New Year celebrations special is definitely this. 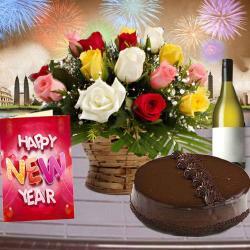 It comprises of a bunch of 15 mixed color roses that are a divine sight to behold, 16 pieces of mouth watering chocolates Ferrero Rochers and a beautiful greeting Card for New Year. 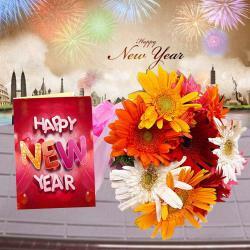 The bunch of flowers is exquisitely arranged in a classy cane basket. This fabulous gift hamper makes for a perfect gift to fill hearts of your loved ones with joy. 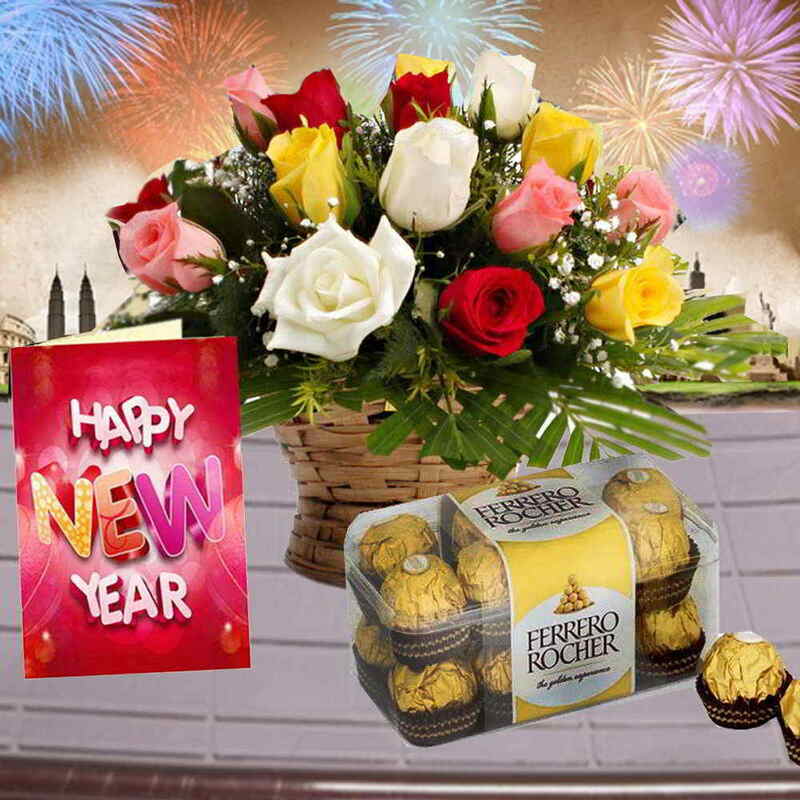 Product Consists : Basket arrangement of 15 Mix Roses with some green fillers, 16 Pcs of Ferrero Rocher Chocolate Box along with New Year Greeting Card.